If you love to entertain, then carve out a stylish corner just for drinks even if you’re short on space. You can always forgo a dedicated home bar, but what’s the fun in that? If you love to entertain, carve out a stylish corner just for drinks. 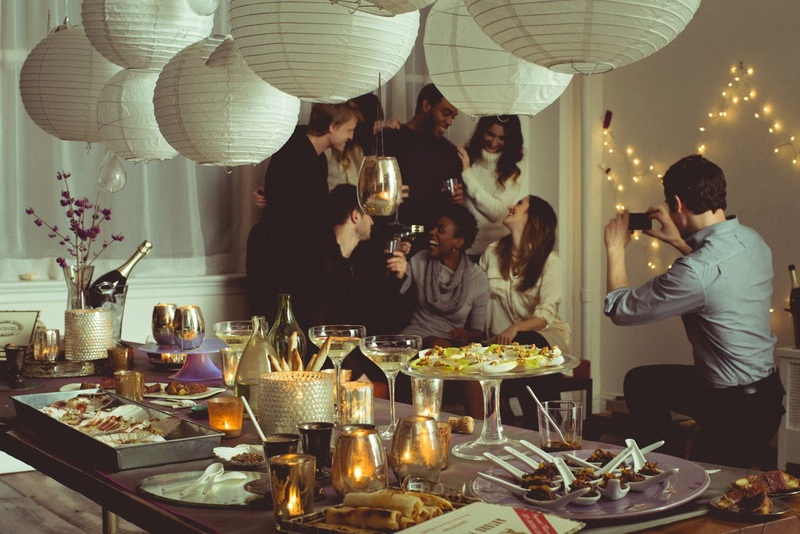 Even if you’re short on space, here are 5 basics to get the party started. Wheel your drink supplies around on a handy bar cart that can be rolled to the middle of the action or tucked away in a pantry once the party’s over. They come outfitted in every style and include storage to hold your drinks, glasses and garnishes. You can install stemware holders underneath the top shelf, make room for a small ice bucket up top and load the rest of your supplies on the bottom shelf. Invest in one with folding sides if you need extra countertop space to chop limes or mix cocktails. If you have one (or two) kitchen cabinets that act as placeholders filled with random knick-knacks, empty and devote it to a mini home bar. Line the inside with hooks and racks to hold martini glasses and add rows of shelves to hold your favorite drinks. If space allows, you may also want to get a sink or mini refrigerator to help with the prep. This cabinet can be opened up to be the star of the show or simply hidden away behind closed doors. Oftentimes the best solution is the simplest. If you’re really tight on space, revisit an overlooked spot in your home. If you have a spare wall in the kitchen, dining or living room, install a few rows of open shelves to store supplies. You can even make it work with just one shelf if you store wine and liquor up top and hang glasses upside down below. Alternatively, glam up and repurpose a simple serving tray to stash your supplies and leave it stationary on a sideboard or credenza. Add a fun piece of artwork or sign above to make it stand out to house guests. Build it Into a Nook If you’re in the opposite situation and have some room to spare, build out a home bar. If you have an awkward nook or extra space in a hallway, consult a professional for a custom job. This area creates a special place to store and serve drinks closer to living and lounge spaces, and it doesn’t interfere with any other household tasks or duties. Add a luxury or two to this space, such as a wine fridge to keep drinks cool, a sink for washing glasses and storage space to hold mixers, garnishes and glasses. Regardless of which setup you have, style it with the right accessories to set the mood for the party. If your space is limited to a mobile serving cart or tray, pick statement drinking glasses and decor with glamorous gold accents. For more defined spaces, match your fixtures, lighting, wallpaper and seating. If it’s near the living or dining area, you’re all set on seating; otherwise pick out stylish bar stools to match your aesthetic.